Democracy in action can be messy, but the election law as well as state and local party rules are clear when it comes to how governments and political parties carry out their business. And despite the cathartic and frantic attempts by the New Kings Democrats to claim that party “bosses” thwarted their attempts to take over the Brooklyn Democratic County Committee, the fact is they did not have the votes. They are focused on proxies, which allow elected committee members to have their voices heard if they cannot, for one reason or another, attend the semi-annual committee meeting. While the NKD complain that party leaders held the vast majority of proxies, their protestations fail to acknowledge that they worked very hard to collect proxies, mailing to everyone on the County Committee list seeking support for themselves. They failed. Frank Seddio, the chair of the party’s Executive Committee, thanks to the hard work of many local clubs, received around 600 of those proxies from County Committee members who believed he would best represent their interests. The NKD, despite their best efforts, claimed they had 130. I say “claimed” because those who complain the County Committee meeting started two-and-a-half hours late – implying there were some nefarious deeds going on behind the scenes to thwart democracy – know that the sole reason for the delay was because the NKD leaders failed to bring in their proxies at an appropriate time. They did not bring their proxies to the meeting hall until 90 minutes after the meeting was scheduled to start. Attorney volunteers had to sort them through a “bar-code system” that forced everyone in the hall to wait, but party leaders agreed to stipulate that they had 130 proxies so the meeting could start without waiting the additional two hours it might have taken to complete entry of the proxies into the system. Even though many of the NKD proxies turned out to be invalid for a variety of required reasons, that did not change the fact that the party leadership stipulated and allowed the facially defective proxies to be counted. When combined with the votes of members in the room and the proxies each side held, the supporters of the current party leadership far outvoted those who wanted to seize control. And since the County Committee is an entity whose activities in organizing the party’s structure and business is set out in state election law, failure to complete the committee’s business effectively would have put the party out of business, blocking it from nominating candidates to appear on the party’s line in elections. The law is clear. A proxy is the voice of a “person,” someone who previously ran for a position on County Committee, but could not attend the meeting for reasons that could include health, work, family responsibilities, etc. I am amazed to hear that it is somehow undemocratic to allow their voices to be heard via his or her proxy, especially when the NKD worked so hard to gather proxies but apparently lack the support among party members to gather enough to alter the voting outcomes. The NKD activists and leaders fail to mention that party leaders have acceded to virtually every one of their proposals for rules reform, and welcomed a proposal at the most recent County Committee meeting by Assemblymember Robert Carroll, a respected reformer, to change the proxy rules to require they be carried by another committee member from the same Assembly district. That will go to the rules committee for consideration, the same rules committee that approved every one of the reformers’ proposed changes last time they made them. Being open to ideas through robust discourse is not a novel idea. The district leaders have done just that for many years. Nonetheless, for some it seems as it just feels better to simply not take yes for an answer, and instead to make up for their lack of broad support at the grassroots level by yelling, screaming, and disrupting the meeting. We understand that Democratic politics has long been marked by factional family fights, a sign that, in the words of the chair, the party is “alive, exciting, and worth fighting over.” And we understand there is a generational challenge to party leadership, since many in the room started in politics as insurgents themselves challenging the party leadership at the time they entered the fight. But there is an old lawyer expression that seems to apply here. When you have the facts on your side, pound the facts. When you have the law on your side, pound the law. When you have neither, pound the table. Intra-party fights take place under the rules of the party, and that includes allowing proxies so Committee members who cannot attend have their voices represented. And make no mistake—it is a voice. That is why the NKD worked so hard to collect proxies, and why the party’s district leaders do so as well. When they have enough votes to elect their chosen leaders, we will graciously respect the results and work with them to elect Democrats in order to push an agenda to benefit the people of Brooklyn, which is why we are all in this together in the first place. From my perspective, we must continually work harder to reach everyone throughout every corner of the borough and in between, and remember we are all in this together. Frank Carone, a partner in Brooklyn’s Abrams Fensterman law firm, is the law secretary of the Brooklyn Democratic Party. This summer I collected signatures from neighbors to represent my election district, an area of a few blocks, as a member of the Kings County Democratic Committee (KCDC), the Brooklyn denomination of the New York State Democratic Party. I had signed up with the #RepYourBlock campaign, convened by New Kings Democrats (NKD), one-and-a-half years earlier for this purpose. I handed in my petitions in June and a few months later I received a postcard informing me of KCDC’s bi-annual rules meeting, on September 27 at Kingsborough Community College. This postcard let me know that if I signed and returned it to Frank Seddio, the Democratic County Chair, there would be no need for me to attend. Despite this “helpful” suggestion that I turn over my vote through this proxy before ever even participating in a meeting, I made plans to be there. The hundreds of people gathered in the Leon M. Goldstein Performing Arts Center on September 27 ranged from newly-minted members like myself to people who had been attending for decades. From the beginning, it was clear that the party leadership was overwhelmed by the turnout. It was less clear whether that was by design or by incompetence. We waited two-and-a-half hours past the posted start time for the meeting to begin. It was standing room only, and the people around me were palpably excited to participate in this most local form of government. When the meeting finally began, it got off to a contentious start. KCDC members heckled from the back of the room. The person leading the meeting, former State Senator Martin Connor, never introduced himself and was immediately defensive. Many of us had trouble following what was happening in a poorly-mic'd room with a lot of background noise. In the weeks leading up to the meeting there had been heightening tension around the efforts of NKD, a reform club trying to increase the participation of everyday Brooklynites through the #RepYourBlock campaign. NKD had reached out to Democratic County Committee members encouraging them to attend the meeting and if they couldn’t, asking that they give their proxy to someone they know or one of the #RepYourBlock partners, in an attempt to counter the juggernaut of the party leadership proxy-collection machine. Many committee members received multiple requests for their proxy (a way to allow someone else to vote in your absence), including a misleading one from party leadership that purported to be signed by one’s state Assembly member and district leaders (many of whom claimed this happened without their permission). Partially in response to this, there was a proposal to reform the proxy system introduced by my own Assembly member, Robert Carroll, which was overwhelmingly supported. Then the time came for the vote that is one of the only real roles for members like me – voting for the officers of the executive committee. This year an actual competitive election was possible, because an alternate “reform” slate had been proposed by #RepYourBlock. The voting began, and an already tense meeting unmistakably changed. Because we didn’t even get the chance to vote! It was over before it started. Party leadership had waited to start the meeting until they were sure that Frank Seddio had enough proxy votes to overrule anything that happened. The voting began with a vote on the complete executive committee slate, and motions for a vote on each individual position were overruled or just flat out disregarded. When the vote was called for the establishment slate, about 50 people stood up. Martin Connor said those 50 votes, plus the more than 500 proxies held by Frank Seddio, meant the establishment slate won. Even when those numbers were questioned, or when it was pointed out that the numbers didn’t seem to add up, or when it was clear that the numbers being reported were actively changing as more proxies appeared with every challenge, we were told “It’s done” and the meeting moved on. In that room there were hundreds of people like me who had petitioned to be on County Committee, some of whom had competed in primaries. Over 500 people had left work early, skipped dinner, planned for childcare, carpooled, rode a subway to a bus, or made countless other arrangements, all to come to Manhattan Beach on a weeknight and attend a five-hour meeting. And the overwhelming majority were not even able to stand up and be counted in favor of a candidate they supported. Their questions and requests for explanation or clarification were dismissed and they were scolded from the lectern for daring to even ask them. When a motion was made to recount the vote, after a member pointed out that the numbers given did not add up to an establishment victory, the vote in favor of recount was overwhelming. That vote was also unsuccessful, as Seddio’s proxies still outnumbered those in attendance. But the room had shifted, and even people who had voted for the establishment slate saw what was happening as counter to a democratic process. NKD and #RepYourBlock had inspired us to show up and be a part of our local political process, and the Kings County Democratic Party saw us as an obstacle. The Brooklyn Democratic Party leadership did more for reform with its actions in that auditorium than years of organizing could have. It is a testament to the efforts of #RepYourBlock that so many people were there. And by being so entrenched, and so unwilling to allow for anything that might dilute their stranglehold on Brooklyn politics, party leadership ensured that the proxy abuse they are so reliant on is in its final days. Nicole Hunt is a member of New Kings Democrats, on the Executive Committee of Brooklyn Voters Alliance, and a member of the Kings County Democratic Committee. On Twitter @msnicolemh. When Sahand Shahrabani moved to Forest Hills, Queens in 2013, the recent college graduate had one goal: to get involved in local politics. But a Google search turned up eerily sparse results for Democratic clubs in the borough and no trace of the Queens County Democratic Party. “They don't have Facebook and there’s no website. I was definitely surprised and disappointed by the lack of web presence,” said Shahrabani, now 29. 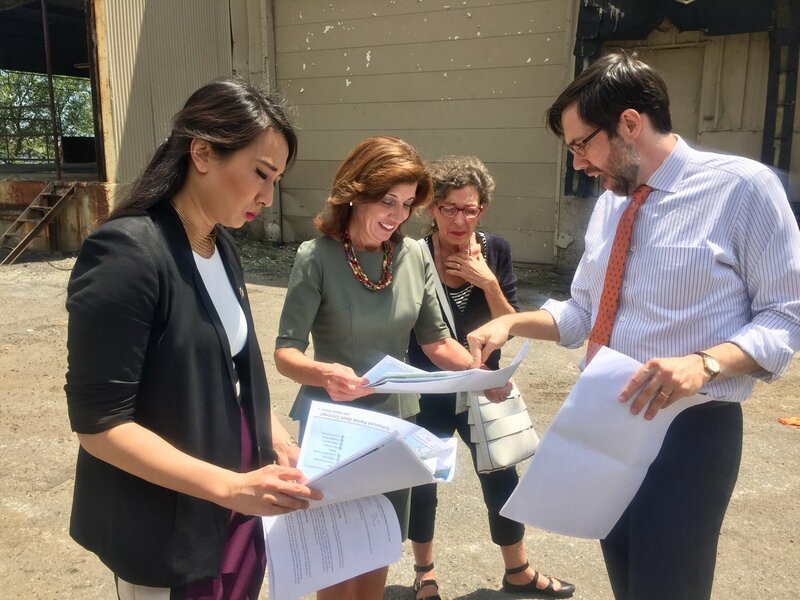 During the 2016 presidential race, Shahrabani joined Queens’ People for Bernie group and met two other progressive Queens dwellers, Jesse Rose and Sam Schachter, with whom he would soon create the New Queens Democrats, the first progressive reform political club in the borough. As part of their platform, the New Queens Democrats called on the Queens Democratic organization to embrace email communication and post useful information, such as events and resolutions, on an official webpage. “Our party is a modern one and our methods of communication should reflect that,” wrote the club’s founders. Technologically, the Queens Democratic organization follows only shortly behind the city’s four other Democratic county committees, including the Kings County (Brooklyn) Democratic Party, which launched a website in 2015, and the New York County (Manhattan) Democratic Party which went online in 2013. Bronx and Richmond County (Staten Island) Democratic parties also have inviting websites that have been in operation “for years,” according to representatives from both organizations. There is no uniformity across the county committee sites, and many are missing essential information, like committee event calendars, a directory of district leaders and county committee members, district leader part maps, party rules, minutes from meetings, and party calls. They also use old fashioned postage to announce rare and under-attended committee-wide meetings and do little to promote the events on social media. While for over a century the tight-knit, transactional style of party leadership has helped county dynasties retain power, if in the current digital age party organizations fail to modernize and engage the next generation of voters and activists, self-taught crops of Democratic organizers threaten to upend the old order. Without better digital presences, there may soon be too few people active in the party to keep a hold on power. New Queens Democrats, which in several months has modestly grown to nearly two dozen members, is now focused on supporting other progressives who want to run for county committee, a massive body of representatives from each election district that meets biennially, but has few concrete powers aside from helping to select candidates for special elections and nominating judicial candidates. In New York City, where most elected seats are guaranteed to be Democratic, the county committee vote effectively decides the winner of most special elections, and is part of the pipeline of party operatives and officials. The new Queens club is modeled after two other political clubs, the Manhattan Young Democrats and the insurgent New Kings Democrats in Brooklyn, which have successfully infused the Democratic apparatuses in their boroughs with progressive committee candidates and nudged the organizations in a more transparent, tech-friendly, outreach-focused direction. The county committee system was originally designed to give ordinary New Yorkers a voice in their party organization, but with little understanding or available information of how the arcane system works, few take advantage of it in a meaningful way, and in each borough, thousands of seats are vacants at any given time. In 2009, the Manhattan Young Democrats launched the city’s first “open seat project” to get more people to run for county committee and fill these vacant posts. Unlike government agencies, Democratic county organizations are privately run, often dynastic entities, operating autonomously from the state Democratic Party, according to John Kaehny, executive director of Reinvent Albany. When county organizations are reluctant to embrace technology or lack a web presence, it suggests that they are more focussed on maintaining old power structures that have existed for decades than engaging with the public, according to Kaehny. How the organizations choose to engage with the public is “a reflection of what the leadership is and the priorities of the leadership,” he said. Manhattan’s Democratic party is fractured, but it is also likely the most transparent and inclusive of New York’s Democratic organizations. In part, this shift is attributed to the efforts of the Manhattan Young Democrats -- which published one of the first county committee explainers on the internet -- and Ben Yee, an open government advocate who has won awards for his transparency work at the New York State Senate. Yee, who got his start working on former President Barack Obama’s 2008 campaign, joined the Manhattan Young Democrats in 2009, where he was instrumental in creating the open seat project. That year, MYD recruited and elected 70 young people to Manhattan's county committee, and that number has multiplied each year since. “We were running people for this thing and we weren’t really sure what the body did -- we just knew it was a governing body -- because all this stuff was very difficult to find out. You couldn’t Google this at all. It was just ridiculous,” said Yee. While at first, Democratic party leaders may have seen the rapid influx of committee members as a nuisance, some soon learned to embrace the enthusiasm and volunteer work coming from the Manhattan Young Democrats. Yee, who has since been promoted secretary of the Manhattan Democratic Party and is currently running for state committee, and a friend, Chris Bailey, put together a robust website for the Manhattan Democratic Party in 2013, and Yee has taken it upon himself to make sure it is updated regularly. “There’s definitely been an opening up” in the party, said Yee. While occasionally he faces pushback from the county leadership, led by Chair Keith Wright, over what information can be posted -- the minutes from meetings may need to be reviewed by a lawyer before posting, for example -- Yee says for the most part, the party leadership is appreciative of his efforts. “Over the years, they’ve realized that this is really beneficial for us. It’s just about finding the line and the rationale for not publishing things, and sometimes the reason is valid, and we work around it,” said Yee. Resistance, Yee says, stems from fear of culpability for misstatements and to some extent maintaining power, but party leaders have largely seen transparency as a net gain for the party, especially with regard to the influx of younger people and talent. Since the Democratic Party is so powerful in New York, county organizations don’t feel compelled to act as organizers. In swing areas with more balanced party enrollment, like Westchester County, Democratic organizations tend to be more dynamic and ambitious in their outreach efforts, said Yee. Naturally, New York City’s Republican committees, which hold a miniscule degree of influence in most parts of the city, appear to be more focussed on outreach to the general public. While Manhattan’s Democratic district leaders struggled to maneuver the petition printing backlog during the most recent petitioning process, the Staten Island GOP is willing send a free packet of petitions to anyone interested in volunteering for one of its endorsed candidates. In stark contrast to the Queens Democratic organization, Queens’ GOP committee has eight full-time staffers and five to six volunteers on its digital outreach team. The aggressive engagement strategy includes Twitter, Facebook, and Instagram, complete with hashtags for every day of the week, and responsiveness is a top priority, according to staff members. While Democratic party leaders were difficult to reach by phone, Michael Conigliaro, executive director of the Queens County GOP, eagerly organized a conference call with the office’s boisterous digital outreach crew, requesting that Gotham Gazette list all of their names (Fred Darowitsch, Ryan Kelly, Michael Janis, Angela Ferri, Gabriel Miller). Noting the strides made by the Manhattan county Democratic organization, Yee believes the Democratic Party as a whole needs to “get its act together” in terms of engaging voters and transparency if it wants to be successful as an electoral force. The other Democratic county party websites are not without merits. The Bronx Democrats, chaired by Assemblymember Marcos Crespo, is effective at digital engagement, utilizing Twitter and Facebook and sending out weekly e-newsletters to constituents about events held by elected officials. "It's very important to the chairman to ensure that our constituents are engaged. We are proud to have a party that came out strongly, we are proud to have the highest Democratic turnouts in America and the chairman is proud to engage with the constituency and be as transparent as possible," Yves Filius, political coordinator at the Bronx Democratic Party. However, the site, which was launched by former county boss turned Assembly Speaker Carl Heastie “more than five years ago,” according to Filius, is not particularly designed to court new talent or explain the county committee system. It includes an elaborate photo spread of Bronx elected officials but no committee meetings on its calendar. Like other county machines, the Bronx party continues to be known for backroom deals when it comes to elected seat swapping or maneuvering so that county-aligned candidates get the posts the establishment wants. In Queens, there has been extensive recent reporting in the news media about patronage. The Staten Island Democrats, which operates in an area represented by several Republican elected officials, including Borough President James Oddo, appears more outreach-oriented, with a website inviting Staten Islanders to run for office, and promoting a leadership initiative, but offers little information about the county committee process. Nationally, cities are turning to technology to make government services and information more accessible. In New York City, agencies are bound by Local Law 11 -- signed in 2012 by former Mayor Michael Bloomberg -- which mandates that most digital data managed by the city be made available to the public through a single web portal. A manual published by the City’s Department of Information Technology and Telecommunications (DoITT) outlines technical standards and guidelines for city agencies. While Democratic organizations are not bound by these regulations, they can take a cue from these guidelines and strides made by city governments to become more user friendly, according to David Moore, a civic technologist who launched New York City’s Councilmatic, an interactive online tool for understanding the activity and legislation that moves through the City Council. “We’ve seen city websites become better designed and more easy to navigate. This should be a goal for the county,” said Moore, pointing to “Council 2.0” and a 2015 redesign of the New York City Council’s website, spearheaded by Council Speaker Melissa Mark Viverito in 2015 and designed to make more data publically accessible and the city’s main governing body more responsive. While setting up a Democratic county party website is a good first step, “it is crucial to demystify the process more; they could use some testing to see how they are able to explain how this very old school county committee process works,” said Moore. If the state Democratic party is interested in better engaging the grassroots, they should designate funds towards creating baseline standards for digital outreach on the county level, according to Moore. The 2016 presidential election energized voters all over the city, including many younger ones, and there is an abundance of grassroots organizations and engaged New Yorkers. One such organization is Gowanus Gathering for Action, a group of progressive organizers in Central Brooklyn, which has taken interest in the county committee system and was surprised at how little information was available. Web designer Jonathan Crocket is working with the group to create the County Committee Sunlight Project, which allows people to search for their election district, and find out where committee vacancies are located through a color-coded, interactive map. "We are living in a different time now, and people need to interact with their party. The Trump administration has not materialized overnight. People don't have a say, and when they don't have a say, they resort to more radical dispositions," said Crocket, who hopes to eventually advance the project to include state-wide committees. 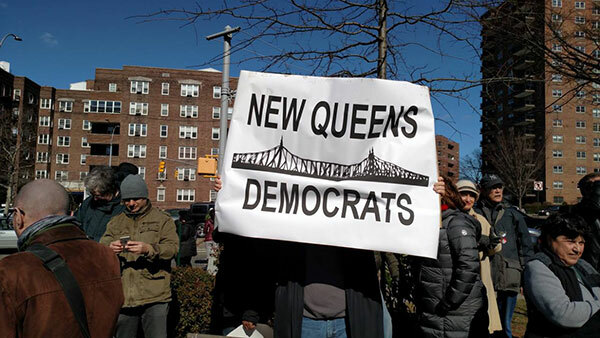 Brooklyn Democratic Party website came to be in a similar way, with some prodding from progressive reform-minded district leaders Josh Skaller, who is party of the Central Brooklyn Independent Democrats, and Nick Rizzo of the New Kings Democrats. 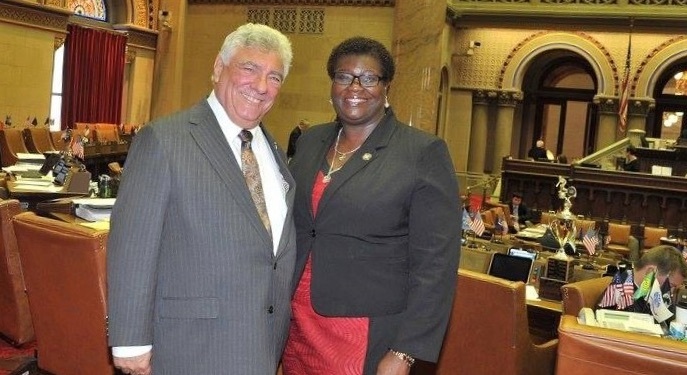 When then-Assemblymember Vito Lopez stepped down from his party boss post amid a sexual harassment scandal, and was replaced by current Chair Frank Seddio in 2012, it created an opportunity for culture shift throughout the organization and the website was part of that, according to Rizzo. The Brooklyn Democrats site includes directories of district leaders and county committee members -- though the lists are not always up-to-date -- and two full-time staffers who are responsible for maintaining the site and updating it with event listings. One thing that has not been modernized at the old office is the move from snail mail to email -- 41 out of 42 district leaders do now posses an email address -- but like everything, “it’s a process,” said Rizzo. When Daniel Squadron released his statement resigning as a New York State Senator, many of us were surprised and disappointed to see a legislator committed to progressive reforms go. In particular, Sen. Squadron fought the LLC loophole allowing corporations to exceed donation limits by contributing through multiple entities treated as individuals, and Squadron cited the dysfunction of Albany as one cause for his decision to step down. With a district that spans the Brooklyn waterfront and lower Manhattan, the voters who elected a reformer deserve a fair, transparent process for selecting his successor. As Squadron himself has acknowledged, that may very well not transpire. Because 2017 is not a state election year, a special election will have to be called. Squadron stated that he timed his announcement with the intention the seat being filled, and thereby ensuring district representation, as soon as possible. Governor Cuomo will need to set the date for the special election, which is anticipated to be the same as the general election on November 7. The rules of the State Democratic Party provide for a system of filling vacancies in political subdivisions (such as Assembly or Senate districts) through election by members of the county committee representing that area. County committee members from that particular political subdivision (such as Senate or Assembly district) come together and vote, in accordance with the county party rules, on a replacement candidate for a special election. The candidate elected by the Democratic county committee then appears on the ballot as the Democratic nominee in the special election. In Manhattan earlier this year, for instance, the party used the New York County Committee to select the nominee to fill the State Senate seat vacated by Bill Perkins, with a special election held in May that saw Sen. Brian Benjamin elected. This is one of the few substantive powers that county committee members are empowered to exercise. County committee members, in Kings County (Brooklyn) especially, are afforded few other meaningful roles, and quite often act as a rubber stamp for the party leaders. It is the closest to democracy that we have for special elections, especially since county committee seats are open to any Party member who can collect the necessary petition signatures. However, when a vacancy occurs in a political subdivision that spans more than one county, such as Squadron’s Senate District 26, the rules of the Democratic Party of New York State permit the chairs of the respective county committees to select the candidate who will appear on the special election ballot. Though Frank Seddio and Keith Wright are the party bosses for Brooklyn and Manhattan, respectively, the county committee chairs are actually Charles Ragusa for Kings County and Nico Minerva for New York County. There are several problems with this system. Two Democratic Party insiders will alone choose who will be the Democratic nominee for this State Senate seat in the general election this year. There will be no primaries. Because Senate District 26 is vastly Democratic, the nomination process will likely decide who the future State Senator will be. Once elected, on average across the state, two-thirds of incumbents don’t have challengers in their party primaries -- meaning that the nominee is likely to be State Senator for quite a while (there are no term limits in the state Legislature). In other words, two people have the power to pick a Democratic candidate who could stay in office the rest of their life. The county chairs are under no obligation to state their criteria or rationale for selecting a candidate, nor are they required to consider the opinion of voters or even county committee members. Doing as little as is required would be not transparent to voters and not fair to candidates, and it would also further reduce the power of rank-and-file Democratic county committee members to influence who represents them and their neighbors. This would be disempowering to county committee members who would be stripped of the one important role they would otherwise have. Whomever is chosen for the Senate position will essentially be handed a seat for as long as they would like to keep it, or, as Squadron decided, they are tired of dealing with the inaction and corruption of Albany and move on to greener pastures. Citizens deserve to have a say in who represents them in government, lest we want to cast away our democratic principles. What should the process be? In his letter to the party leaders, Squadron called on Seddio and Wright to permit the county committee members from both New York (Manhattan) and Kings (Brooklyn) Counties to come together to pick the candidate, and we at New Kings Democrats echo this call. County party leaders have the ethical responsibility to conduct the process with a commitment to transparency and inclusion. The county committee chairs should defer their votes to the county committee members in a meeting open to the general public to observe. The parties involved should disclose the weighting of each county committee member’s vote in an accessible and timely manner to ensure that the vote is in compliance with State Election Law. The parties should be diligent and timely in all of their notifications regarding this meeting, including by taking steps to notify committee members by using multiple means of communication (snail mail and email, if not phone calls as well) and identifying the candidates under consideration. The parties should also work to ensure that the people living in Senate District 26 are aware of the chance to vote in an even more important general election in November. Allowing the party leaders to handpick a candidate with no public participation or communication would be unacceptable. This instance also impels us to consider whether the rules of the game need to be changed. Reformers from across the state are paying closer attention to Democratic Party rules -- and realizing they are not as democratic as they ought to be. Just two weeks ago, New Kings Democrats and fellow Brooklyn reform clubs Central Brooklyn Independent Democrats, Southern Brooklyn Democrats, and Prospect Heights Democrats for Reform were able to get the Democratic Party of Kings County to pass some key reforms. For instance, the Party may no longer endorse or support a candidate who has been convicted of a felony related to corruption or malfeasance in public office or their party position. Modest changes were also made to the notorious proxy system, which enables the party boss to hold undue power in the county committee, by making it easier for county committee members to designate their proxies to someone else by filling in a blank space following the executive committee chair’s name. 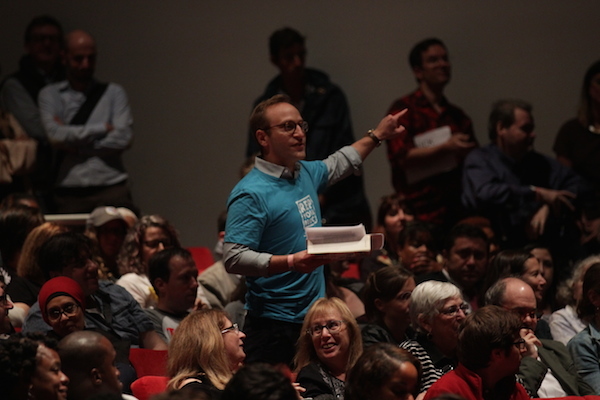 Reformers outside New York City are organizing as well. Ulster County Democratic State Committeewoman Kelleigh McKenzie introduced a set of reforms to the State Democratic Party. Two of those reforms were passed a few weeks ago, and make some much-needed steps toward improving communication with and cultivating participation from Democratic State Committee members. While both sets of reformers have proposals that did not pass or have not passed yet, the openness of establishment Democrats to accept criticism and work together to form a more functional and democratic Democratic Party is critical at this moment in time. At a minimum, we hope that the chairs of both relevant counties agree to convene their county committee members within Squadron’s district and fairly endorse a candidate. This is in the best interest of democracy, and of the Democratic Party. We can’t cry foul at the Republican Party’s attempt to forgo democratic processes across the country, and be caught doing the same here in New York. Brandon West and Anusha Venkataraman are on the executive committee of New Kings Democrats, a progressive Democratic club in Brooklyn. On Twitter at @NewKingsDems. With the 2016 presidential election over, can the populist fervor surrounding the candidacies of Senator Bernie Sanders and President-elect Donald Trump be harnessed into a new kind of revolution on a state level here in New York? A year from now, next Election Day, New Yorkers will have the chance to vote on a referendum to call a Constitutional Convention, an opportunity to rewrite state laws that comes around once every 20 years. Proponents of the convention — at this point mostly academics and government reform groups like Citizens Union, but also Gov. Andrew Cuomo — are already pushing for New Yorkers to vote “yes” on the November 7, 2017 ballot question, saying it is a rare opportunity to take control of government, hold Albany leaders accountable, and enact ethics, elections, and other government reforms on specific issues like campaign finance, redistricting, voter registration, term limits, home rule, and more. Sanders and Trump, both of whom won most New York counties in their respective April primaries, highlighted what they called the corrosive influence of wealthy interests and corporations on the political system and promised new kinds of people-powered government. They called the system rigged and broken, the government controlled by special interests, and spoke to the concerns of many voters who’ve lost faith in their elected representatives. They called for revolution, albeit with some essential differences. But what will become of these movements in the aftermath of this Election Day? A New York Constitutional Convention -- or ConCon, as it is often called -- provides a chance to engage these constituencies and their sense of marginalization to literally “take back the government" by rewriting any and all aspects of the state constitution. This, at a time when legislators seem unable or unwilling to police themselves, reform democratic systems, and address long-standing problems. The last time a ConCon was on the ballot, in 1997, it was voted down by a two-to-one margin. With scant public awareness of the issue, and powerful interests lining up in opposition, voters’ views could easily shift against the idea as the next election nears -- as was the case during the last vote. Whether or not a populist fervor can be whipped up around a ConCon vote is one major 2017 question awaiting New York. 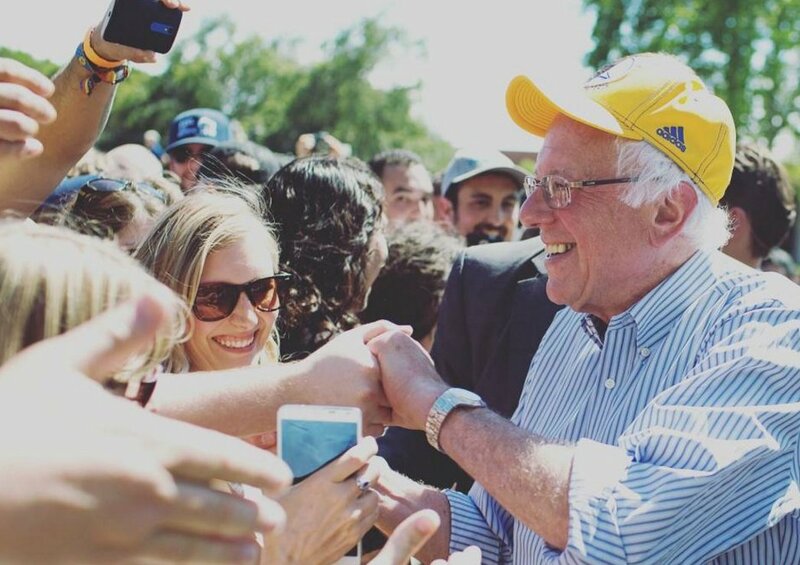 One pro-ConCon group that has tried to capitalize on Sanders energy is the New Kings Democrats (NKD), a progressive reform political club in Brooklyn that voted almost unanimously to make ConCon part of its platform earlier this year. An officer of the group said NKD reached out to the Sanders campaign ahead of the New York primaries about the issue, but was rebuffed. Local chapters of major and minor political parties Gotham Gazette spoke with — including the Working Families Party — have yet to take a public position on ConCon. Those fears are echoed by many New York progressive reformers including Democratic State Assemblymember-elect Robert Carroll, whose political club Central Brooklyn Progressive Democrats (CBID) endorsed Sanders in the primary. "My worry is that there are lots of worker protections, environmental protections and a whole host of other progressive safeguards in the New York State constitution, and I want to make sure those are preserved," Carroll said in a phone interview. While technically anyone can run as a ConCon delegate, in practice, those with power and name recognition -- including state lawmakers themselves -- are typically elected, resulting in little change to the system, as was the case at a rare government-initiated ConCon in 1967. “We don't know who is going to be in that convention or what the makeup will be,” said Carroll, warily of the hypothetical ConCon. J.H. Snider, a ConCon expert, has written in Gotham Gazette that a truly fair and democratic ConCon vote would require legislators to be barred from running as convention delegates, and in fact, plural office-holding -- which is banned in other states -- is one of the issues a constitutional convention could address. But, the $1 million that Cuomo proposed to include in the state budget to fund a preparatory committee for a potential ConCon did not appear in the spending plan approved a few months later. During the general election, Sanders urged his supporters to embrace Clinton, and his movement has splintered into different factions, some reluctantly embracing the Democratic nominee, another segment backing the Green Party’s Jill Stein, and still other organizations — like Team Bernie New York — pushing for candidates in local races that aligned with Sanders’ message. Every pro-Sanders group Gotham Gazette spoke to said that the ConCon referendum is not a priority on its post-primary agenda. It is quite early, but if 2016 momentum is not captured and continued, it may be gone for good. Michael Blecher, a former Sanders activist who now runs a grassroots organization called Politics Reborn, said his group is currently focused on democratizing New York City’s district leader and county committee races, and that he is cynical of ConCon’s potential delegate selection process. However, he noted that attitudes among his fellow Sanders supporters might shift following the presidential election. “[Sanders organizers] are about to have this existential crisis — after November 8 — as far as whether certain progressive leaders are willing to put it front and a center,” said Blecher of ConCon during an October interview. For example, he said, Politics Reborn might consider informing the public about the ballot question as part of its canvassing efforts. Reforming how district leaders and county committee representatives are chosen could be a serious plank at a ConCon, but Blecher’s cynicism about the prospects for true reform appear fairly widespread, at least at this point and among those who know about a ConCon. Political scientist and SUNY New Paltz professor Gerald Benjamin said Constitutional Convention advocates like himself face an uphill battle in reaching voters and expressed frustration at the lack of political organization. “Where is the organized effort? It’s a year out and where are the resources? The people who want people to know about this are out there giving speeches — including me — but we are talking about telling millions of people that this is an opportunity to participate in major legislative reform,” he said. In contrast to the tepid response from Sanders organizers, ahead of the election, New York Trump supporters told Gotham Gazette that regardless of its outcome, a ConCon would be a crucial part of their strategy to gain more citizen control over state government. Trump surrogate Carl Paladino — a Buffalo businessman who ran for governor in 2010 and has a history of Trump-like rhetoric — said he hoped a ConCon would dismantle the old power structures crippling Albany. "Our state has decayed so much from the control of the progressive liberals; it has to happen, and I would want very much to be a part of it,” said Paladino. A ConCon would allow the public to pass laws without going through a Legislature “controlled by a dictator like Sheldon Silver,” he added, referencing the disgraced former Assembly Speaker, a Manhattan Democrat now convicted on public corruption charges. Both Republicans and Democrats have an interest in enacting term limits and other governmental reforms, but if they fail to form an organized coalition, extreme voices like Paladino’s have the potential to scare voters off, according to Benjamin. “It can only work if the reasonable and responsible people organize, but if the Paladinos come forward as a force for change, it’s going to fail for sure,” said Benjamin. New York City, which makes up 40 percent of the statewide electorate, is likely to be weighted significantly more heavily in the upcoming vote, since it coincides with the city’s 2017 mayoral and other municipal elections. New York City Mayor Bill de Blasio, a Democrat running for re-election next year, has expressed skepticism about a ConCon. In a recent interview with WNYC’s Brian Lehrer, de Blasio suggested the convention would be corrupted by big money interests. If the mayor decides to take a more decisive and forceful position on the convention, it could sway the vote. Conversely, as John Kenny, publisher of New York True, points out there remains the possibility that a Republican mayoral challenger — Queens City Council Member Eric Ulrich, perhaps — would come out in favor of a convention and drive a “yes” vote. Political scientist and Hunter College professor Kenneth Sherrill, who is pushing for a ConCon, says the power of big money to derail the convention has been overstated. One issue wealthier interests, which can include labor unions, will likely be unified on, though, is preventing limitations on campaign contributions. A Republican state Senate has prevented the passage of campaign finance reform in Albany, even closure of the notorious LLC loophole, which allows virtually unlimited campaign donations from entities who set up multiple limited liability corporations. Cuomo has said that it appears the only way the LLC loophole will be closed is if “the people do it.” Some do question Cuomo’s commitment to a ConCon since the money did for the preparatory committee for a ConCon did not make it into the final 2017 budget, indicating little support from top state electeds. Cuomo did stump for a Democratic takeover of the state Senate, which would lead to closure of the loophole and other campaign finance reform, but that effort appears to have failed. The GOP retained its Senate majority on Tuesday, perhaps giving Democrats more impetus to pursue change through a convention. The New York State constitution -- which dates back to 1777 -- was mostly rewritten at a 1894 convention, with significant changes made at the 1937 convention. While several amendments have been made since, parts are outdated, and some argue that a Constitutional Convention is necessary simply to update the lengthy, convoluted document. However, if Bernie Sanders supporters in this overwhelmingly Democratic city and state choose not to jump on board with the convention soon, pro-ConCon Trump voices may spook many New Yorkers, reinforcing the fears that it would endanger hard-won progressive measures, leaving the decision up to the next generation of voters — in 2037. Note: this story has been corrected to remove menton of NYPIRG and League of Women Voters as having endorsed a Constitutional Convention.